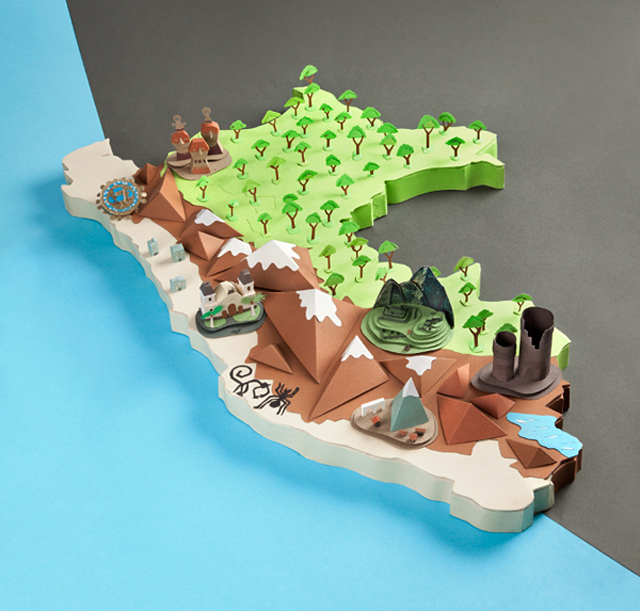 Designer and illustrator Carla Eráusquin Bayona created a papercraft version of her country for showcasing the features and locations for the hotel Casa Andina. This was her first time working with so much detail and overall was a great experience for her. I think she did an amazing job of capturing important landmarks and even the Nazca Lines.